. :: Planetario Móvil | Southafrical ::. With more than 18 years of uninterrupted experience in the field of portable planetariums and being one of the system’s creators, we are qualified as the largest exhibitor on schools worldwide. The planetariums manufacturing division has been created in order to develop and produce every single part of the portable planetariums. We are not a corporation but a family business. Furthermore, we have created a personalized training system to provide clients with our know-how, which includes both the different lessons and the business profitability. Planesaurio® and Planevial®, have been created by our company. 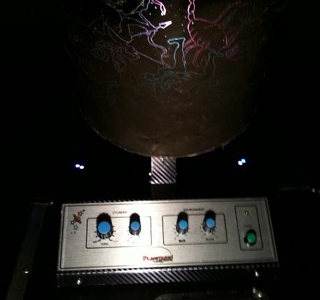 A portable planetarium is a unique and special teaching environment where exhibitors, duly trained by our company,give lessons about more than 80 different educational topics. Lessons are projected 360 grades around onto the domes. Domes can attend up to 60 students and they comply with the required safety standards. Inflatable domes, star projectors, full-dome mirrors, inflation turbines and projection cylinders are developed on the basis of our wide experience. 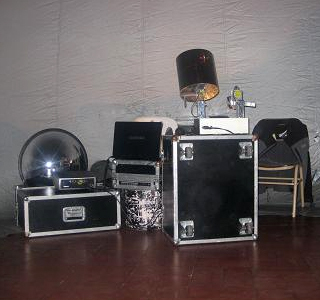 The equipment is easy to handle and can represent thousand of stars or many different topics onto the inflatable domes. They are made of reliable, fine and lasting materials. 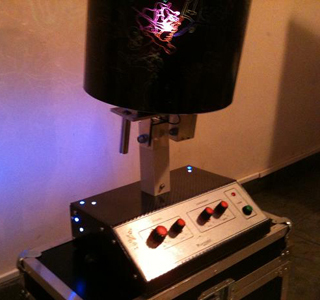 The Experience Projector, with single or double plate, is made subject to the requirements of planetariums operators and is suitable for being comfortably handled inside the domes. The equipment undergoes thousand hours of usage by our operators in order to test it. 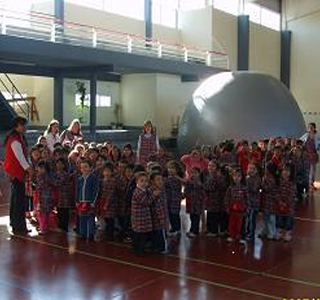 It has been operated on thousand of schools all over the Argentine Republic and worldwide. The planetariums possess inflation turbines and a speed control system developed by Portable Planetarium Buenos Aires, through which operators can adjust the speed and current of air from inside the domes. 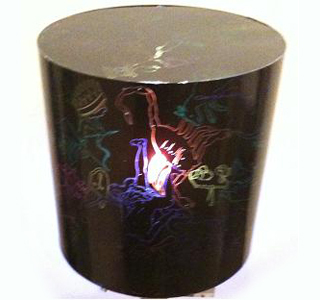 Cylinder projectors are compatible with projectors of other brands and, if not, can be easily adapted. They cover more than 80 different topics, with single or double plate. In addition to the topics available, we offer the development of projections about specific topics according to the client’s needs.